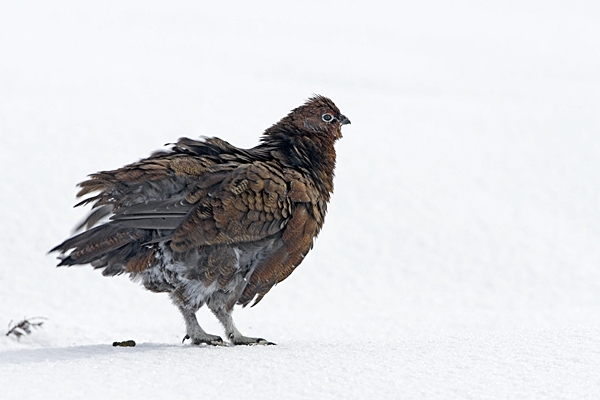 Home | Birds | Red Grouse in the snow(All Shook Up 2) 3/3/'10. Red Grouse in the snow(All Shook Up 2) 3/3/'10. A Wednesday afternoon drive up into the Lammermuir Hills and a red grouse strutting his stuff in the snow. Canon 1D Mk11N camera,500+1.4 lens,1/500 f10.